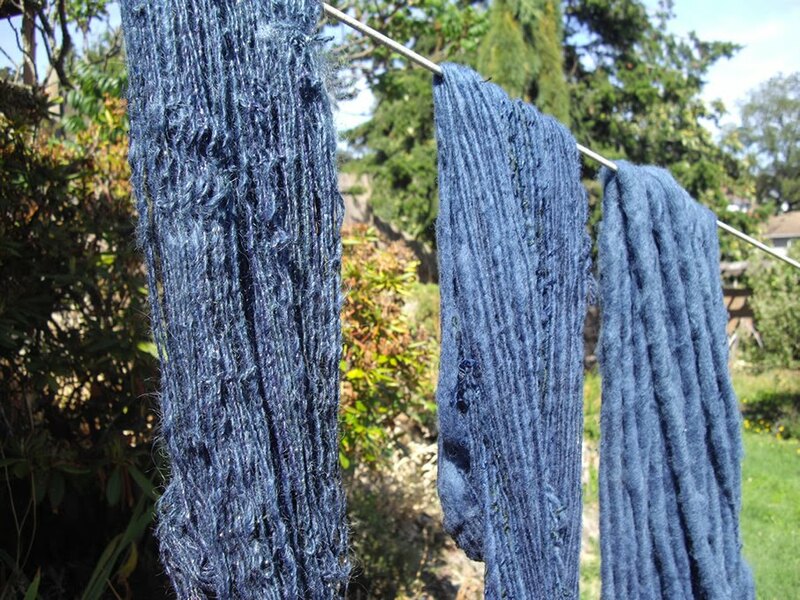 Some local wool and mohair spun by Ryan and myself; a few dips in the indigo and soaking up the sun! wow!!! that looks great. so deep and rich. you're going to love using it. Gorgeous indigo! 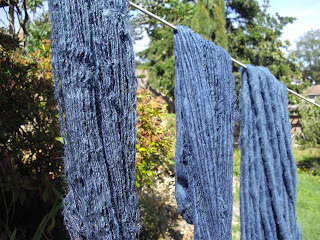 I love to dye things. I just figured out how to access my favorites. My daughter and I share a blog and it has been confusing. We are less that a half year old (and not all about our jewelry). I love to write about our daily life, etc. I also love paper crafts and my daughter loves antique clothes. We both adore garage and estate sales and flea markets. Come and visit if you would like! Now, off to read your blog!